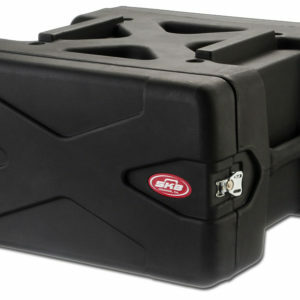 EIA compliant Wooden Studio Rack shall be Middle Atlantic Products model # BRK6. 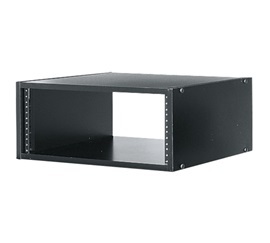 BRK6 shall have 6 useable rackspaces with a 11.98″ overall height. BRK6 shall have a 17.91” depth. Studio rack shall be constructed of 5/8” furniture grade MDF board and shall feature a high quality black wood grain laminate finish. Rackrail shall be equipped with one set of 11-gauge steel with tapped 10-32 holes in universal EIA spacing. Assembly hardware shall be joint connector screws. Studio rack shall be rated to 200 lb. weight capacity. Studio rack shall be GREENGUARD Indoor Air Quality Certified for Children and Schools. Studio Rack shall be RoHS EU Directive 2002/95/EC compliant. Studio rack shall be manufactured by an ISO 9001 and ISO 14001 registered company. Studio rack shall be warrantied to be free from defects in material or workmanship under normal use and conditions for a period of 7 years.